I’m tired out after a long day. I did not open anything absurd or expensive. I ended up playing difficult grindy match-ups all day. Now admittedly every game (with rare exception was fun). I’m going to do this in a needlessly fast manner due to being tired, apathetic and wanting to move on. I played Green/Black Elves with no real pay-offs. My deck was very slow, but had many neat tricks. We started game 3 in time, but he got colored-screwed while something something Huntsmaster and Juggernaut crushed him. I didn’t open like any low drop creatures and then he played Jareth, Leonine Titan. I couldn’t block it or attack. I died very fast. Game 2 I only had Blood Artist until turn 5 due to a mana flood. I lost again quite handily managing to fight back until Jareth came back. My opponent had a foil Malestrom Wanderer, a Shardless Agent and a Bloodbraid Elf. I stalled for a while using the bounce Civic Wayfinder combo to block the wanderer, but his deck was eons stronger than mine. It was no contest. Both games were won for me by Deathrite Shaman. He Force of Willed it game one, but I used Gravedigger to recur it then took over the game with it. Game 2 we entered a boardstall where Deathrite combined with Maze of Ith prevented hm from attacking while pinging him down. I took him from 14 to 0. Game 1 my opponent mulls to 6, never draws a 3rd land while I curb out perfectly so he loses very fast. Game 2 he manages to Faith’s Fetters + double Pacifism to make his Yavimiya Enchantresses huge. I am taken to 4 life at this point mostly after missing an easy chance to kill his Mother of Runes turn 1. So my opponent was the most honorable guy I met all day, because after searching his deck he releases that he’s short a card and calls a judge on himself. The judge has him shuffle a random card from his pool into the deck and we keep going. I’m okay with this due to wanting to keep playing. Anyway to make a long story really short a combination of Blood Artist + Phyrexian Gargantua pull me back from 4 to 10 and him from 16 to 0. So after a long fight game 1 I lose to Jace, the Mind Sculptor. Then game 2 he gets mana-screwed, but my clock is so terrible he draws out of it.He tries to stablize with Jace at 4 life, but Blood Artist finishes him before he can complete a miracle. We go into time game 3, but I get color-screwed and lose to multiple flying attackers. While I am totally underwhelmed by today I have to admit it’s only because I didn’t open any high value cards. I’m very happy that many of my friends opened well, one of whom got 4th place at the event. EMA is a weird format. 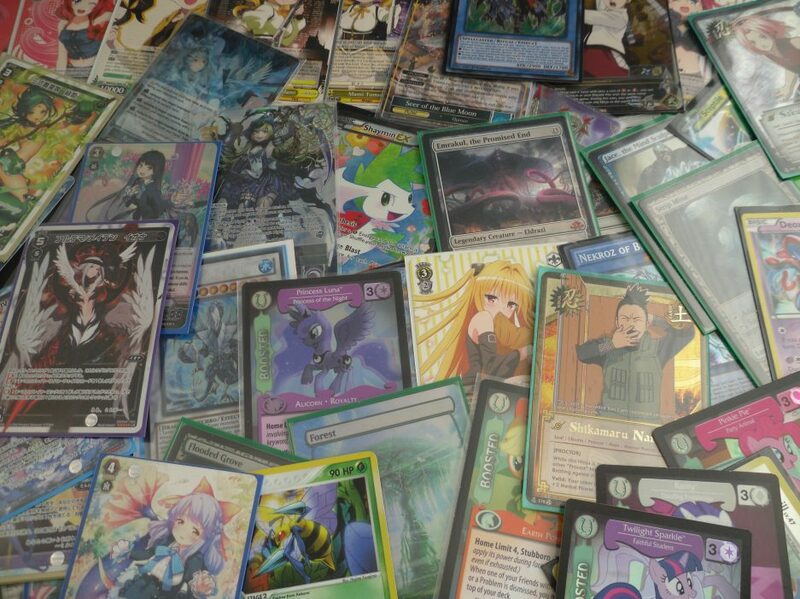 There’s a surplus of busted things that can happen and cards that are really annoying to fight. Also I have 7 Heritage Druids now after opening 2 of them today (This is what happens when you get another pack or fun afterwards). I want to take a photo, but I can’t be bothered right now. The takeaway from this is that Magic tournaments are fun, but this one was way too competitive, expensive and grueling. And that’s all the whining I needed to do. Thanks for bearing with me.